Emergent Gameplay is a fancy way of saying “simple mechanics that make way for complex situations.” Think about games like Skyrim. 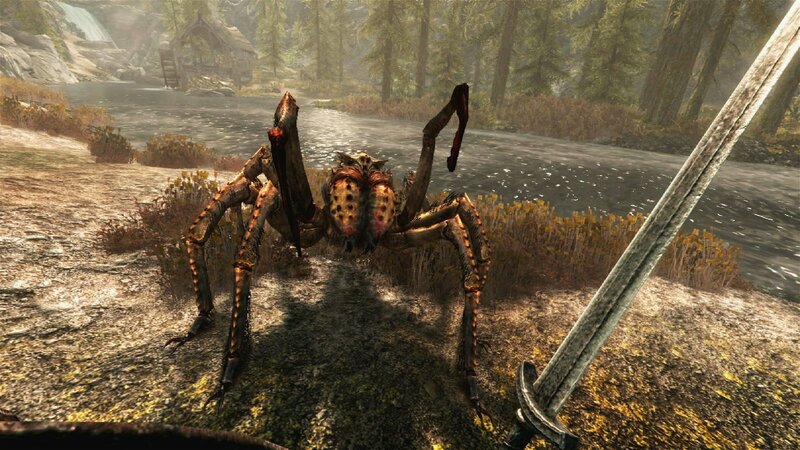 When it comes to the overworld of Skyrim, many of the situations are randomly generated and would be different for every player. On top of having different encounters, the players will play the game in many different ways. This simple idea results in every player having a unique experience and their own stories to tell. This is one example of intentional emergence. When it comes to intentionally using emergent gameplay, there are two main approaches. Emergent narrative—like that Skyrim example—uses simple mechanics to allow players to form their own stories. Games that use this technique heavily are games like The Sims. In The Sims, the player loosely controls each Sim as they go about their lives, but the actual actions are controlled on an individual level. To some degree, the player is just a spectator of the story being shaped. Another game that uses emergent narrative is the Left 4 Dead series. These games have a unique approach to level design which involved an AI difficulty controller called “The Director." The Director would increase and decrease the difficulty, hide items and place events in order to create a more dynamic story. So, every player got a more dramatic experience when playing the game due to the emergent story told by the Director. The alternate style of using emergence would be creative solutions. Games that provide a ruleset, then let the players choose how they use it generally take this approach. Minecraft is one of the most famous examples. Players are not given any real objective and can do whatever they please with the mechanics. Some people love to build, some will invent and others just play to survive and mine. These different gameplay styles all came from the same relatively simple mechanics of the game. Another great example is Dwarf Fortress, or for a more accessible game of similar style, Rimworld. In both of these games, you are free to build and improve your colonies, but the true gameplay is in the AI. They each have personalities and will have different behaviors and reactions to things that happen. This allows for emergent stories that form over time. Emergence, however, is not always intentional. Many games throughout history have had bugs that drastically affect gameplay, with some cases resulting in players using the glitch as if it was a normal mechanic. These cases are a form of unintentional emergent gameplay. An example of this is the BXR in Halo 2. Halo 2’s multiplayer had an unintentional quirk where if you would melee attack (B), then reload (X), then shoot (R), it would allow the player to shoot immediately after a melee attack, rather than having to wait for the animation. This quickly became a strategy for skilled players and many fans of the game still argue whether it was a good or bad thing for the game. Another very famous example would be rocket jumping. The idea of using explosions to propel yourself around was used in Doom originally, but when Quake came out, players found that you could fire rockets below you as you jumped to reach larger heights. This originally unintended mechanic is now a core feature of many games of the genre. So as you can see, emergence is something that developers everywhere can make use of. I personally find it extra useful as a programmer. Often rather than designing every single thing, it makes more sense to program a system that will circumvent the need to design. Emergence, however, doesn’t replace game design. Intentional design still has a place in game development and is needed to keep the game grounded and ensure that the player will enjoy the game. Emergent gameplay is just a good thing to keep in mind as you create your game. Think about how the game could be enjoyed in ways that you did not intend. Also think about the way that the player’s individual narrative will be affected. Good use of emergent gameplay can vastly improve a game that may otherwise be uninteresting! Want to make video games with me at UAT? Check out our Bachelor of Science in Game Programming!